A weakness in your hip muscles or a lack of hip control and also lead to an altered knee posture which results in a dysfunction in the way that the patella moves up and down the groove at the front of your knee. Our Physiotherapist’s at Enhance Physiotherapy are EXPERTS at identifying the underlying cause of your knee pain and developing rehab programs specifically for you, to improve your pain and function. The first step in effective treatment is to exclude any other conditions and have a physiotherapist confirm the diagnosis. Enhance Physiotherapy is able to determine which factors are contributing to this condition, which could include poor posture, a lack of arch support in your feet or poor running technique. Once these factors have been identified, you will be provided with a specific treatment program to best approach your condition. PFP syndrome usually responds quite well to biomechanical analysis and correction of any muscular weakness and imbalance. Having the correct shoes and orthotics can also make a huge difference. 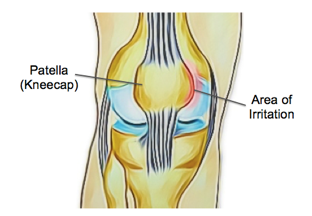 There are some short-term treatments, such as patella taping, dry needling, and trigger point therapy which may help alleviate symptoms quickly and keep you active while you address the other factors contributing to your pain.